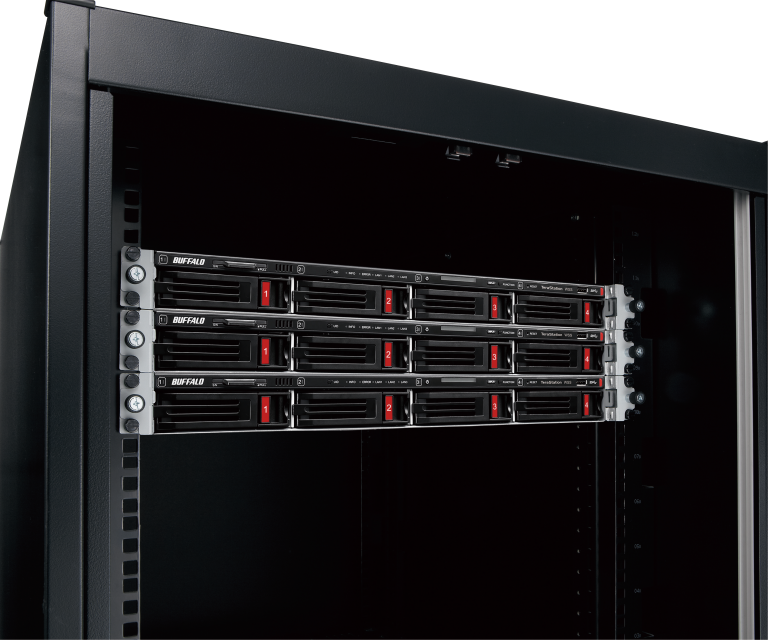 Buffalo’s TeraStation™ rackmount unit with Windows Storage Server 2016 (WS5420RNS6) combines four hard drives, high-performance network attached storage with the power and convenience of Windows operating system, fully populated with high-reliability HDD drives. 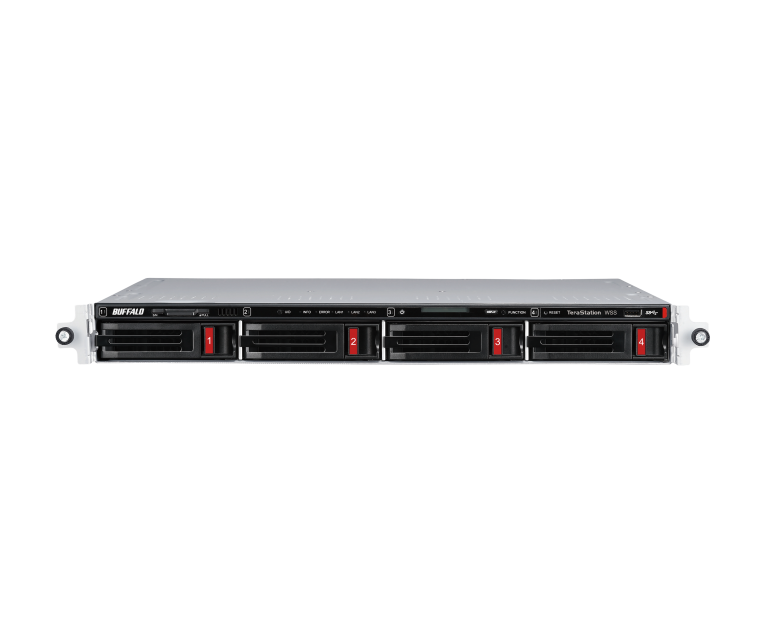 This specialized operating system helps with simple deployment and management of your growing storage demands to integrate seamlessly with your existing Windows-based environment. 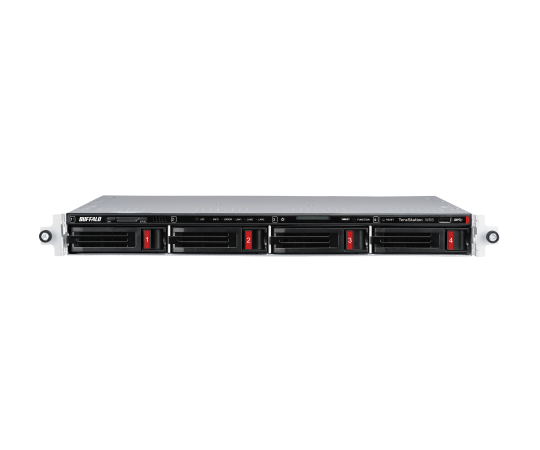 WS5420RNS6 is an ideal solution for consolidating multiple file servers into a single solution that enables cost reduction and lowering the overhead on your existing servers for other workloads. 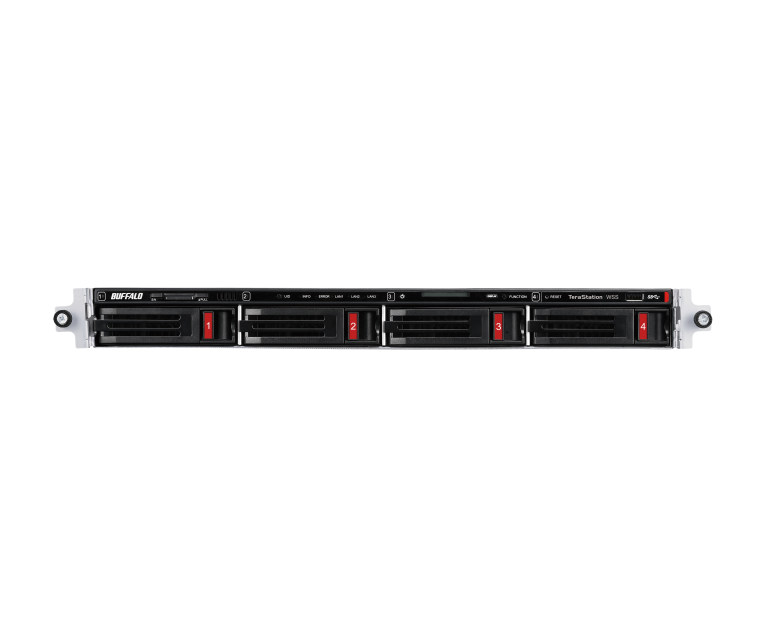 It comes equipped with the powerful Intel® Atom™ Dual-Core 1.56Ghz family Processor and 8GB of fast ECC DDR4 memory installed and is designed to guard against failures and prevent downtime with four hot-swappable drives. 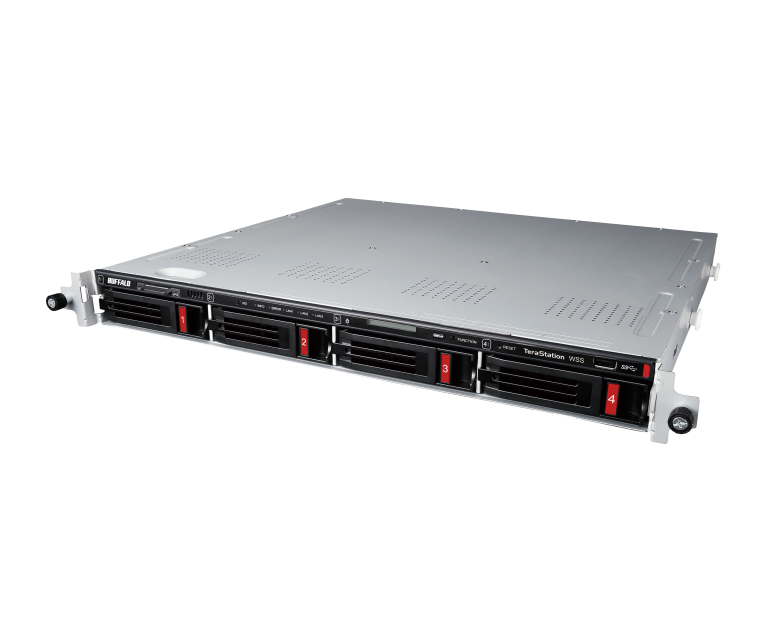 Buffalo’s new WSS rackmount model is available with total capacities of 16 or 32TB. 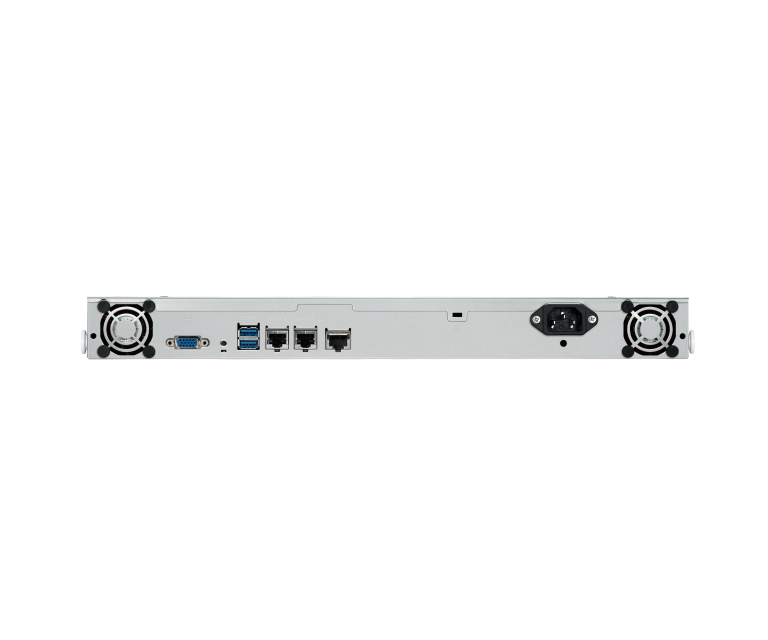 It means an upgrade of our current WS5400RRS2 with its 10GbE LAN interface, meaning a high-speed connection and the latest OS (Windows Storage Server 2016). 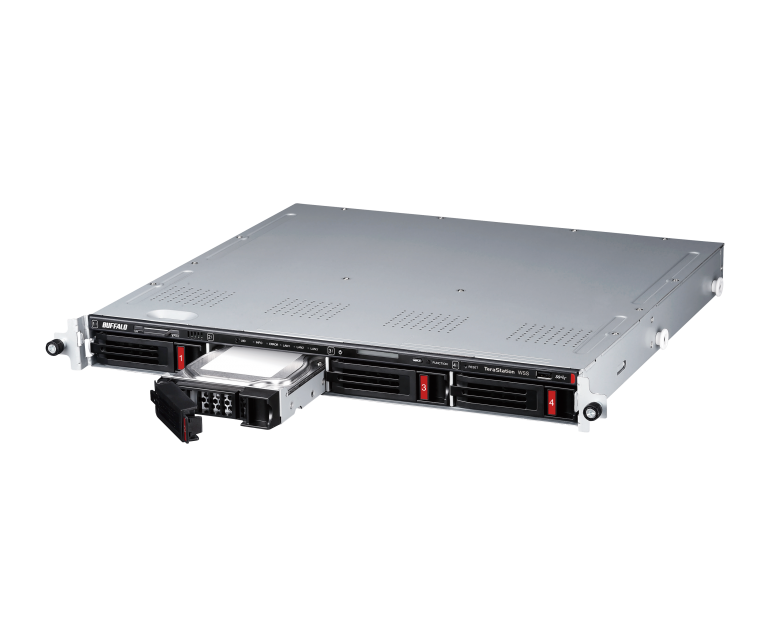 Windows Server 2016 Standard provides a simple and cost-effective enterprise-class solution that is application- and user-oriented. With Windows Server 2016 Standard, you can leverage your data center capacity, deliver world-class performance for your Microsoft workloads, and achieve affordable business continuity scenarios with multiple networks and high service availability and disaster recovery at the highest level. Included Features: Data deduplication, Azure backup, instant synchronization with Windows 10 clients, Resilient File System (ReFS) and more.